Roasted pigs, sheep, and even otter meat being served to revelers who wear their distinctive metal brooches and rings – this, in a nutshell, defines the bacchanalian scenes at the Iron Age site of The Cairns, in South Ronaldsay, one of the Orkney Islands, around 1,700-years ago. The area, located just off the northern coast of Scotland, is now home to an ancient trash heap. 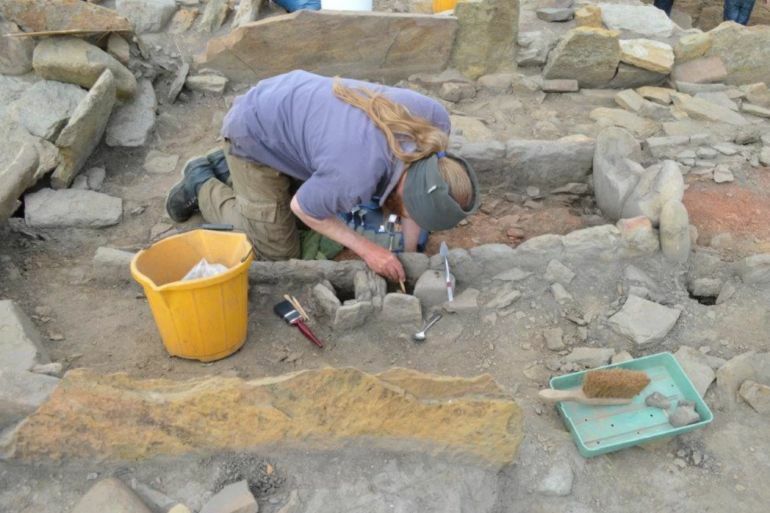 This provided the archaeologists (from the Orkney College, University of the Highlands and Islands in Scotland) fascinating clues about the ‘partying’ and feasting lifestyle of the metalworking culture that settled in the coastal region of northern Scotland. In terms of discoveries, the researchers were surprised by the remnants of a whopping 11,000 fragments of animal bone within the perimeter of the excavated site. These were complemented by metalworking tools like over 60 molds, along with remains of furnaces, crucibles, and heat-resistant containers for melting metal at relatively high temperatures. 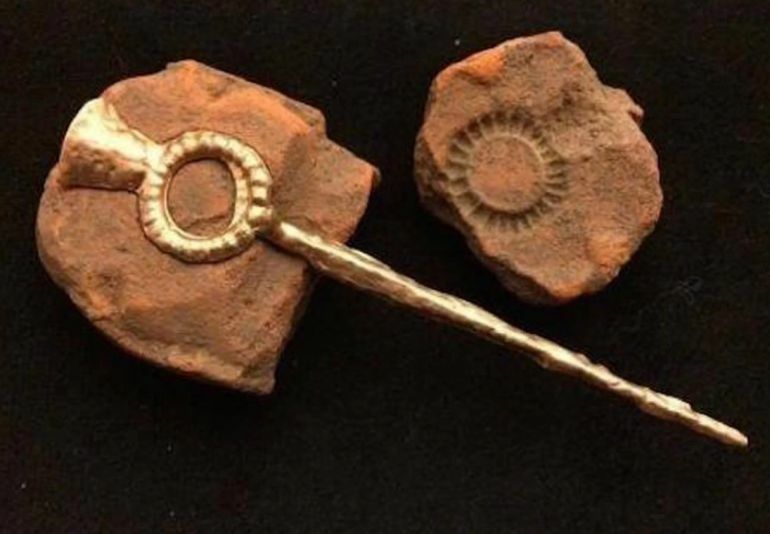 The archaeologists also came across some specimens of the metalwork, including bronze pins, brooches, and rings. Radiocarbon analysis alludes to how the animal bones are dated from circa 300 AD, though the site in itself harks back to an older period, circa 1st century BC. The assessment of the bones from the trash has revealed the wide spectrum of fauna consumed by this Iron Age culture, ranging from domesticated animals like cattle, sheep, and pig to their ‘wilder’ brethren like red deer, otter, seal, whales, and even horses. In any case, the volume of the bone fragments suggests that hundreds of animals were butchered in a relatively short span of time. Furthermore, the bones were found to be not entirely processed, which hints at how the people cooking them were most keen on acquiring the meat portion, as opposed to the additional ‘economic’ and rather caloric consumption of the bone marrow. These findings suggest that the inhabitants were blessed with expendable nourishment sources, and by deduction, were probably rich enough to partake in relatively wasteful feasting and drinking – by the standards of the contemporary age in northern and western Europe. Much like their Germanic neighbors, the ancient Celts gave special significance to the scope of feasting. These social gatherings, patronized by the nobles, almost took a ritualistic route, with a variety of ceremonial features and hospitality codes. At the same time, the participants themselves often became drunk and wild, and their furor was accompanied by bard songs and even parodies that praised or made sarcastic remarks about their lineage and courage. But beyond drunkenness and revelry, such feasts also mirrored the social standing of the patrons and the guests, with seating arrangements reflecting their statuses within the community (much like the later Anglo-Saxons). Furthermore, even the meat cuts reflected the stature and prominence of the guest, with the choicest pieces being given to the favorite warriors. This champion’s portion could even be disputed by other warriors, which led to arguments and even fighting among the guests. In essence, the discoveries of metalworks along with evidence for voracious consumption of meat and alcohol at the trash site points at a very special social event, one that was possibly hosted to maintain an authoritative hierarchy and strengthen the community. 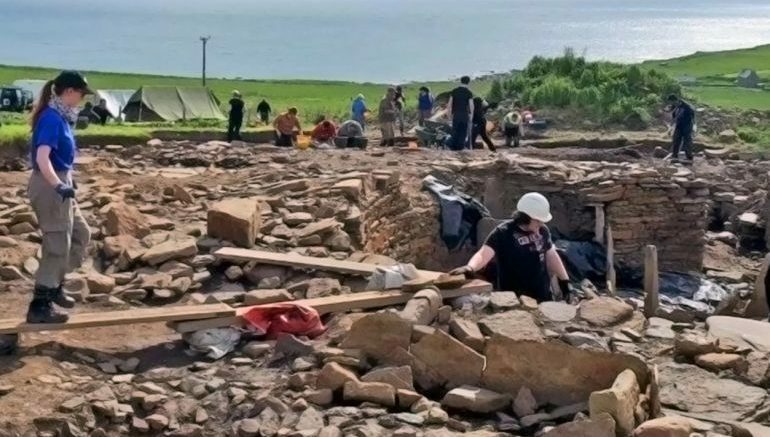 To that end, the archaeologists are looking forth to uncovering more clues about the boisterous lifestyle of these people, by excavating lower levels of the site and making investigatory forays into the nearby Iron Age settlements of the area.